With the start of December and Christmas excitement, we've put together a range of special Christmas offers that would make great festive reading bundles or last-minute stocking fillers. Festive Offer 4: No bones about it! All offers valid until end of December 2016 only and while stocks last. 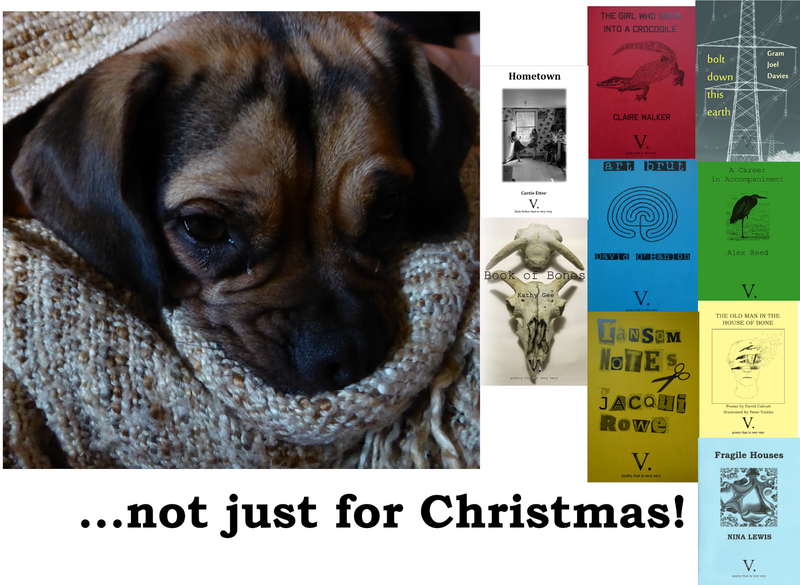 Merry Christmas and a Happy New Year to everyone from V. Press, and with thanks to Rexy the dog, for his absolute cuteness starring in our Xmas fliers!